If you work in Travel and Tourism PR, FAMs are your most effective tool. It’s that simple. But really, FAMs (familiarization trip) are wildly popular in the tourism industry. And while many tourism attractions and destinations are familiar with the process, there is a right way and a wrong way to plan a media FAM trip. 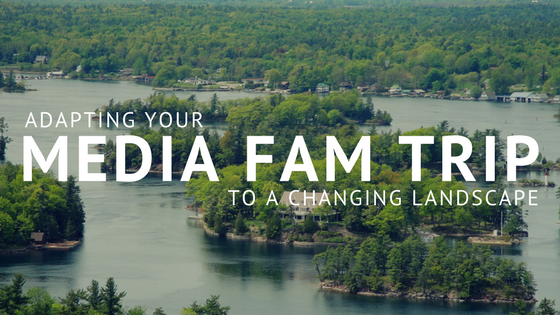 It’s time to take your FAMs to the next level and adapt to a changing media landscape. Though print publications struggle and newsroom staff dwindle, the opportunities to connect with freelancers and top-tier publications are still present. And with fewer print journalists and the explosion of relevant and influencing digital publications, PR practitioners need to change the way we reach this elusive media crowd. Why host a media FAM trip? You might be asking, why host media for a FAM anyway? It costs money, takes time to plan, and can frustratingly veer off-course. Is it really worth the hassle? Good question. Pitching and press releases serve a number of functions and are great for peaking a journalist’s interest, but telling someone about a destination and actually showing them are totally different ballgames. Journalists who embark on a successful media FAM tend to write longer stories, better researched pieces, and produce a larger quantity of stories – sometimes months after a visit. That’s because we are giving them a chance to live our product, not just tell them what is great about it. And as a result, they are passing that experience on to their readers, time and time again. Journalists used to embark on a guided tour, visit as many locations as we could fit into their trip, then go home and sort through to find the most relevant spots for their story. No more. Writers no longer wish to cram their schedule with quick stops– instead they crave experiences. They don’t want to see where people can paddleboard – they want to get out on the water and paddleboard themselves. They get to see things firsthand, and write about the feeling of being on the water, of stepping into the park, or of tasting that first, delicious bite. These make for more compelling stories, and bring the reader into the narrative in a way that makes them want to book a visit as well. They get ideas for angles they might not have discovered before. Was the chef trained in Italy before landing in NY? Is the sauce made from locally sourced ingredients? By setting a slower pace the writer can dive deeper into a location, and focus in on the points that make a location unique. They get to meet the owners behind these businesses, which can sometimes fuel a story of its own. While the guided visit hasn’t completely gone away, there’s been a shift in more media requesting self-guided visits. 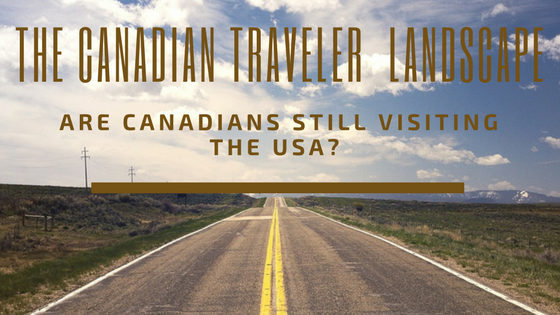 This gives them a chance to experience the area like a real traveler would. Instead of pushing for a guided tour, request to meet them for a meal instead. This gives you an extended period of time to talk and share what makes the attractions on their itinerary unique – and gives them a chance to ask questions about the places they’ll be visiting. Group press trips are becoming less popular for the same reason. The freedom to explore and seek out new and interesting stories is not available when a group is being shown the same attractions and meeting the same people. Specify digital components for every stop on the trip. Twitter and Instagram are especially easy channels to make a quick update or post a great photo. By supplying the handles ahead of time you’re allowing the writer to tweet and tag on the go. Offer downtime on the trip. It’s always good to ask the journalist if they need time to rest or catch up on work. Some writers prefer to be constantly on the go and will take time after the trip to debrief. Others – like digital editors and contributors – often request an hour each day to catch up on emails or update their content as they go. Make sure your itinerary is extremely detailed. After the trip, the itinerary becomes a writer’s best point of reference. Make sure you include any information they might need to write a successful story. In addition to the name of the location, address, and phone number, be sure to list all digital components – social channels and websites – and a brief description of the business. Don’t make the writer work to remember the stops they visited. The itinerary should tell the story of your destination, even before they do. Follow these steps and you’ll be on your way to planning a great media FAM trip. Break The Ice Media is a Finger Lakes / Rochester, NY based PR firm with a strategic approach to content marketing that includes public relations, social media marketing, digital advertising, video marketing, search engine optimization and more. We specialize in working for clients in the travel and tourism industry, as well as food, wine and craft beverage. Our single focus on destination marketing and tourism marketing allows us to go deeper and deliver maximum results.